As top Tampa Bay Movers, we here at Big Boys Moving and Storage have plenty of experience in every aspect of moving house. While we move people from home to home on a daily basis, though, the average homeowner doesn’t have quite so much experience! That’s why today we’re using our experience to help you with your upcoming move by putting together the ultimate moving to-do list! Take stock of what you have, what you need, what you can donate, and what you can throw away. The less clutter you have to move, the easier your move is going to be! Get in touch with your moving company to get a quote for your move, make sure to get a written quote and take note whether that is a binding quote or not. When you find a company that suits your needs book them ASAP to secure your moving day! Begin gathering all medical, school, and vet records – anything you will need to take with you on your move. These days this often just means filling in a waiver to have your records faxed to a new facility, but it’s always good to keep a paper record in a safe place for your reference. Gather your moving supplies. Make sure to find out if your moving company offers special discounts or moving packages that include moving supplies, here at Big Boys Moving we have a number of options available that include moving supplies! If you don’t get your supplies directly from your mover, make sure you get professional moving boxes that can safely hold your belongings. You will also need packing material, tape, and markers. Begin planning for your move by using up items in your home, for example, eat at home to use up perishable items that won’t travel well. Take stock of your larger pieces of furniture and possessions to make sure that they will fit through the doors and hallways of your new home. If something won’t fit in your new home begin making arrangements to sell or donate those things. You can have charities pick them up from your home on a designated day, you can drop them off at a donation point, or you can put them up for sale and have buyers pick them up! Double check your reservations with your moving company to ensure that everything is scheduled as you intended it to be. If you haven’t already started, begin packing! Start with things you won’t need immediately and leave those things you use often until last. Just be sure to keep things organized and labeled so that you know where they are when you get to your new home! Invest in a secure safe or deposit your valuable belongings in a safety deposit box or with a trusted relative. Even with the most reliable moving company, things can go missing during your move and you don’t want your valuables to be one of those things! Log online or drop by your post office and submit a change of address so that your mail will be forwarded to your new address by the time you move! Begin making other changes of address with your bank, utility companies, stockbroker, employer, magazine subscription companies, etc. Schedule the day off work for your moving day if you are going to be moving on a workday. Collect any belongings that are not in your possession – things you have loaned to friends/family, items you have in storage, etc. and make yourself a reminder to pick up any items from your safety deposit box before your move. Call the moving company and re-confirm your move. Yes, it seems excessive but it’s better to be safe than sorry and wind up with no movers on your moving day! If your move is local, consider booking your pets into daycare or boarding to keep them safe during your move. You can also contact relatives to see if they can take your pets for a day or two! Refill any prescriptions that need refilling, contact your doctor if you need a new refill prescription to cover you until you get a new doctor, and look into the process of transferring current prescriptions to a pharmacy local to your new home. Start packing your overnight bag for your moving day. This should contain clothing, and a toiletry bag to hold the necessary items for a couple of days to allow yourself time to unpack after your move. You won’t be able to pack everything now, but start the process early to give yourself time to remember everything! Contact a cleaning company if you plan to have your previous home professionally cleaned once you have moved everything out. You want to book in advance to ensure that you are scheduled when you need your home cleaned. Plan to defrost your freezer, this will take at least 24 hours and you want to have the freezer defrosted and cleaned before you leave. Begin cleaning your home. You won’t be able to thoroughly clean until everything and everyone has left your home, but start with things like your oven, microwave, etc. Make sure that you have access to the funds to pay your mover if you haven’t already provided them with your credit card information. If you plan on using a money order or certified check, get that taken care of before the movers arrive! It’s also important to keep a little cash on hand if you plan on tipping your movers! Have refreshments available for everyone involved with your move. Some great ideas include cold water, sports drinks, coffee for those early morning moves, power bars, pizza, bagels, muffins, or anything that’s easy to eat on the go! Don’t feel obliged to provide these things but they are always appreciated. Ensure that the moving truck that shows up at your home is from the moving company that you hired (check the DOT number on the invoice you are given and make sure it matches that on the truck), that the movers are all from the moving company you hired, and double check that they have the correct information for your move. Make sure that everything is moved from your old home and nothing is left behind! 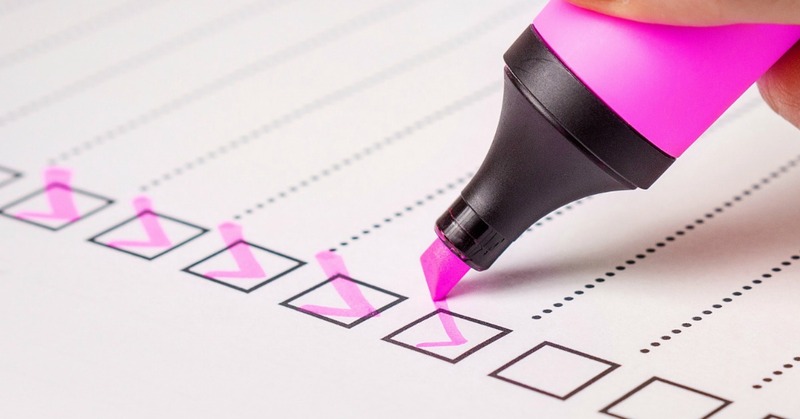 After your move is complete, make sure that you look over and sign the inventory list provided by the movers and request a copy for your own records. Do a walkthrough of your new home to ensure that nothing is missing before your movers leave! Need Tampa Bay Movers to Help With Your Upcoming Move? 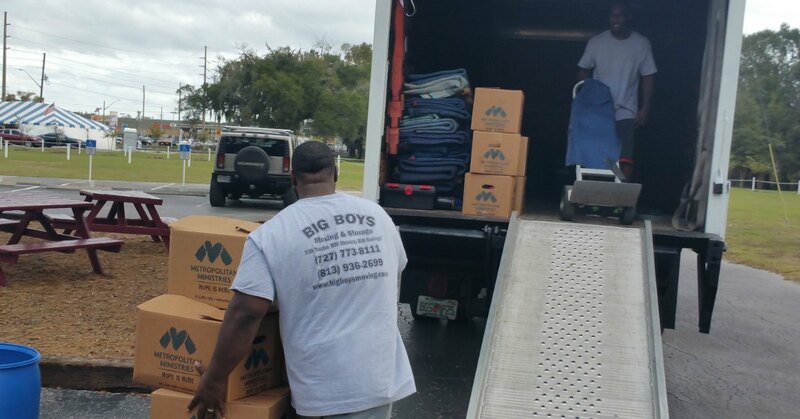 If you need Tampa Bay movers to help with your upcoming move why not hire Big Boys Moving and Storage? We have been voted the areas top moving company for nine years in a row!